Recently, we at Slabco were delighted to welcome designers, architects, fabricators & joiners from across New Zealand, to our recently opened Auckland branch ‘open days’. 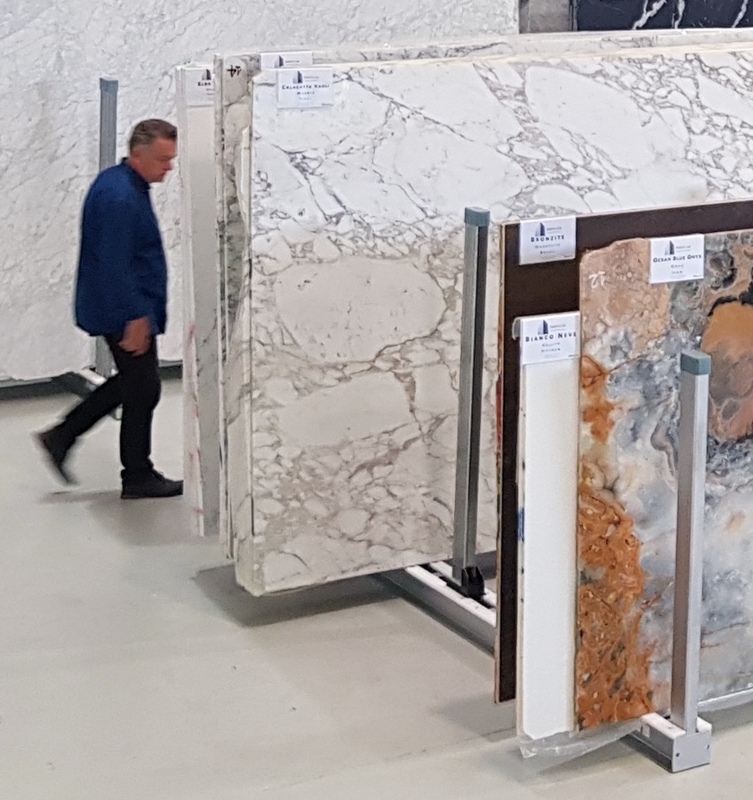 This gave everyone the opportunity to view the current range of our stunning natural stones, whilst being hosted by the SlabCo teams from both Auckland and Christchurch. We were especially fortunate to be joined by Andrea Fongaro from Nikolaus Bagnara, Italy. Andrea is the Sales Manager for the Oceania and South East Asia regions of the company and has been working closely with many of our team since 2006, when he and SlabCo owner-operator, Peter Carroll, met at the Marmomak Stone Show in Verona, Italy. Bagnara are our primary supplier and this close relationship allows us to follow the journey of our stones – from the quarries around the world, to the raw blocks arriving at Bagnara, right through to the finished slabs we supply. 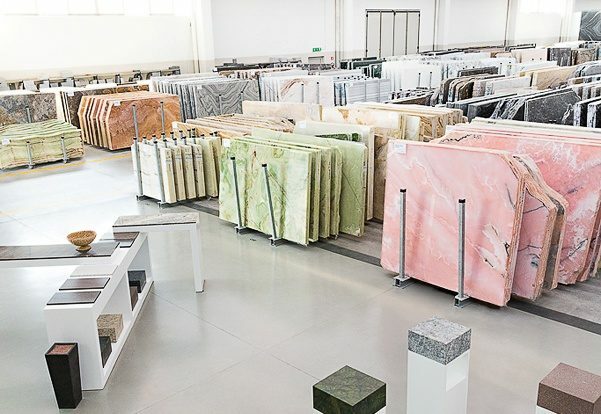 Through this strong association we are able to offer an extremely broad range of natural stones, many being exclusive to us. It was our pleasure to meet the professionals who will be specifying and working with our beautiful stones, being installed in both domestic and commercial sites nationally. We would especially like to congratulate Anna Hill – Associate Interior Designer from Buchan Group – who won our draw for a weekend for two at Mudbrick Vineyard & Restaurant Luxury Cottages, Waiheke Island. Peter, Sally, Melissa, Richard, Angus, Patrick, Mike & Blythe thank all those who attended and we look forward to working with you in the years to come. To those who could not attend we welcome the opportunity to host you in the near future . 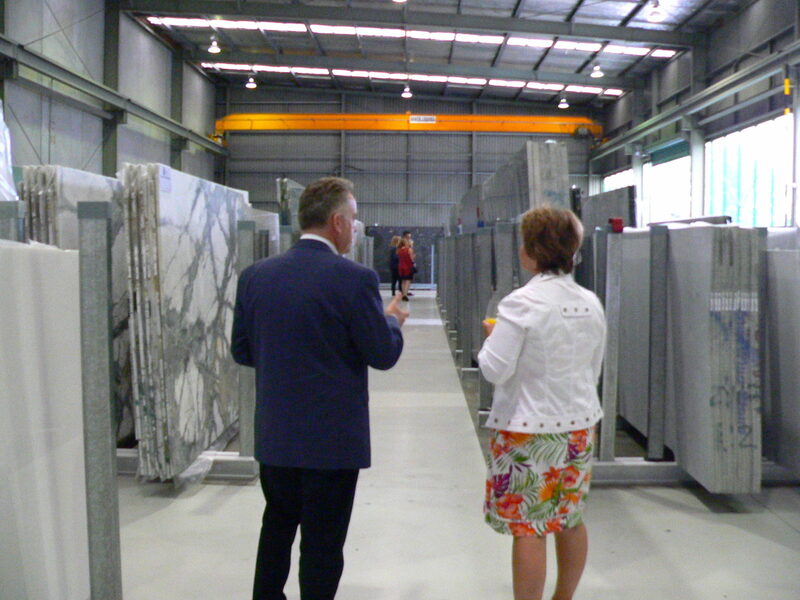 Our focus as a company stands firmly on providing the best quality and service we can.